We perform tests and laboratory analysis under ENAC certifications and in compliance with GLP (Good laboratory Practices). 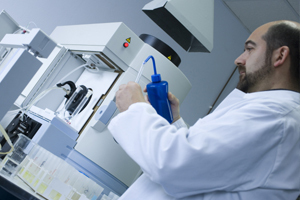 We conduct laboratory tests for materials characterisation. We have cutting-edge instruments and techniques for water, leachate, liquid, soil, sediments and solid waste analysis.